Pervasive developmental disorder, or PDD, belongs to a class of disorders known as Autism-Spectrum disorders. Autism-spectrum disorders include autistic disorder, Asperger's syndrome and PDD. Children and adults with PDD show symptoms of autism or Asperger's syndrome, but may not fully meet the criteria for those diagnoses. Pervasive developmental disorder is characterized by social skill deficits, issues with communication and repetitive or stereotypical behaviors. People diagnosed with any of these disorders suffer from some level of cognitive limitation, which can manifest into irrational physical or mental behaviors. Many of the irrational behaviors seen in children and adults with PDD can be attributed to problems with emotion regulation, maladaptive thinking patterns and problems with deductive and cognitive reasoning. People with PDD have a variety of mental limitations, from the incapability of concrete thinking to the inability to understand and process language. Difficulties with communicating, common to every pervasive developmental disorder, can lead to problematic behaviors. For example, expressionistic language, such as "Hit the hay," to indicate taking a nap, or "Hit the road," to say goodbye, are lost in translation to someone with PDD, who may translate those idioms more literally. Limited cognition and the inability to communicate verbally with others can create frustration for the person with PDD. People without any limitations can have a tendency towards irrational behaviors when upset or angry, so it is not surprising that irrational behaviors are more commonly seen in those diagnosed with PDD. However, there are specific irrational behaviors that are markers in people with PDD. People with PDD are prone to aggressive outbursts. An outburst can be provoked by a perceived threat, which may not make sense to the person or the target of the rage. Outbursts can be unprovoked or internally motivated as well. Children and adults with PDD, particularly those that are nonverbal, may use aggression to meet a particular need. The aggression can also be a result of unrequited attention or an ignored or misunderstood request. Aggression can be a result of pain, fatigue or illness. Punching, biting, kicking and pinching are the most common aggressive behaviors in people with PDD. Hand flapping, hair twirling and other self-stimulating behaviors are commonly seen in people with PDD. These types of behaviors provide an outlet for deficits in stimulation due to pervasive developmental disorders. A child may chew on toys or other non-food objects, rub his body on the floor or spin in circles until he is dizzy. An adult is likely to have more mature stimulating behaviors, such as ripping paper into strips, rubbing finger pads together or humming and rocking back and forth. These behaviors tend to interfere with the daily life functioning of a person with PDD. PDD, in many cases, creates a lack of ability to express oneself verbally. People who are unable to express or channel negative feelings have a tendency to self-mutilate or hurt themselves in other ways. Children and adults with PDD may pinch, bite or scratch themselves in response to a variety of stimuli. Clothing that is too tight, noises or bright lights may lead to frustration and anger. People become quickly overwhelmed, since PDD heightens the intensity of the feelings. The self-injurious behaviors occur in response to the stimuli and are due to a lack of effective coping skills. A child may also injure himself during a temper tantrum by throwing his body on the ground and banging his head. "Stuck" is one way many people with PDD can be described. Children and adults with PDD become fixated on certain things. Transitions from a desired activity or object can be challenging. Obsessive-compulsive or repetitive behaviors and strict routines that cannot be broken without issues are common for people with pervasive developmental disorders. An adult may need to check door locks several times, or drive the same route to work every day. A child may want to eat the same lunch or have to take a bath at the same time each night. 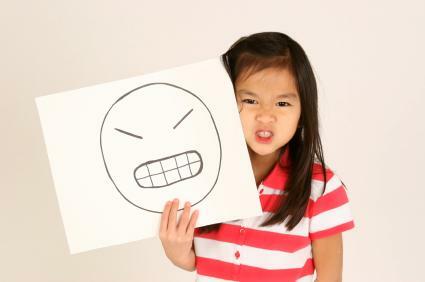 Any changes are met with outbursts or behavioral meltdowns. Avoid irrational behavior by dealing with a person with PDD carefully. Know a child or friend's triggers to help keeping conversations and routines on track. Explain intentions clearly and keep the descriptions simple and straightforward. Attempt to use alternative communication methods, such as PECS or sign language, for a child or adult who is nonverbal. Resources are available through the Association for Science in Autism Treatment or the Center for Disease Control's autism website.